In his free time Dr. Summers loves to spend time with his wife, three sons, and one daughter. They especially love going to amusement parks, like Disneyland and Lagoon, together. He believes fall is the best time of year in Rexburg as it is not too windy and football season is in full swing. 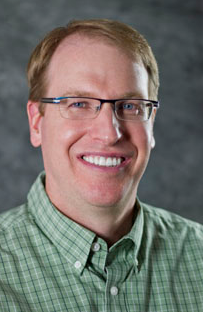 Dr. Summers has had the privilege of being an orthodontist in Rexburg for over 10 years. He understands the importance of a sound education and completed his BA degree at Utah State University then finished dental school with a DDS degree from Creighton University in Omaha, Nebraska. After experiencing a productive one year residency at the University of Utah Hospital he completed his three year orthodontic residency at West Virginia University where he received his Masters degree. This orthodontic residency gave him the opportunity to learn the different aspects of orthodontics to expertly correct various bite and smile problems. Dr. Summers is board certified by the American Board of Orthodontics.